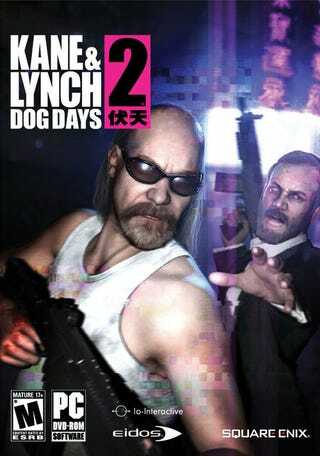 The bold new art direction for Kane & Lynch 2: Dog Days spills over onto the cover of the game, sporting a nifty spy camera look, complete with pixel imperfections. It's a striking image that's sure to catch the eye on your local retailer's store shelves, if anything. I love how they've stayed true to the game's design principals, instead of going for generic airbrushed video game cover number 17 (collect the whole set). This level of dedication to the documentary film aesthetic has me intrigued, enough so that I will seriously considering picking the game up when it hits retailers in late summer.